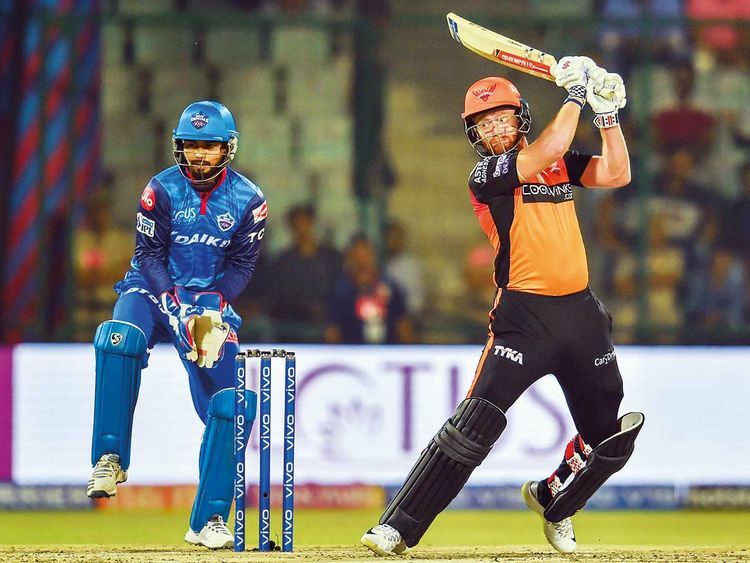 Hyderabad: Having conquered Delhi in their own backyard, a confident Sunrisers Hyderabad will now take on Mumbai Indians in the second match on Saturday at the Rajiv Gandhi International Stadium. Mumbai too will be wearing a confident look after beating defending champions Chennai Super Kings in their last encounter. It will indeed be a battle of equals when both teams look to carry their winning momentum forward. While Hyderabad have looked the most balanced unit in the competition so far, everyone knows that Mumbai can turn any game upside down on their day. It will come down to both teams looking to do the basics right. The support of the Orange Army will definitely augur well for Hyderabad and the kind of form the openers have shown — Jonny Bairstow and David Warner — means that the Mumbai bowlers will have their task cut out. But the MI bowling too has shown sparks and Jason Behrendorff showed what he is capable of when he derailed the CSK batting right at the top in the last encounter. But MI will definitely miss the services of Lasith Malinga as the Sri Lankan has flown back to play domestic cricket in an effort to be eligible for selection for the World Cup squad. All-rounder Hardik Pandya’s return to form augurs well for the visitors as they will look at him to not only finish the innings on a high, but also pick crucial wickets in the middle of the innings. When it comes to the bowling, SRH have one of the best attacks in the tournament. While stand-in skipper Bhuvneshwar Kumar returning to form against Delhi Capitals on Thursday was a welcome sight, Rashid Khan and Mohammad Nabi have already shown what they are capable of on Indian tracks which have all taken turn. With the Uppal wicket likely to be a sporting one, it will definitely be a battle of equals on Saturday as SRH and MI both look to bag two points from the game.